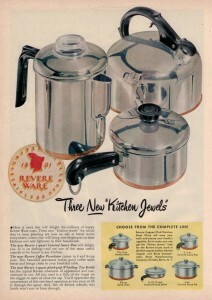 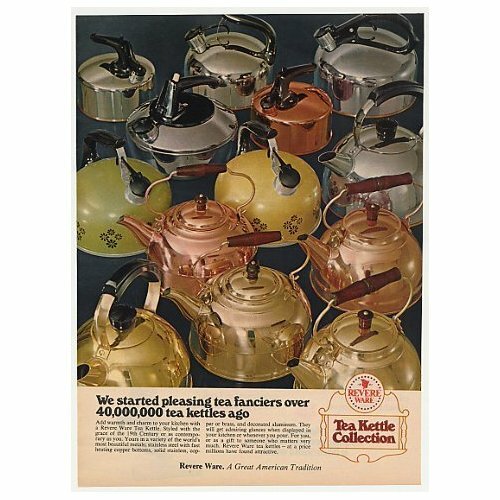 Revere Ware produced tea kettles in many styles over the years, as evidenced by this ad (apparently from the 70’s given the avocado colored tea kettle). 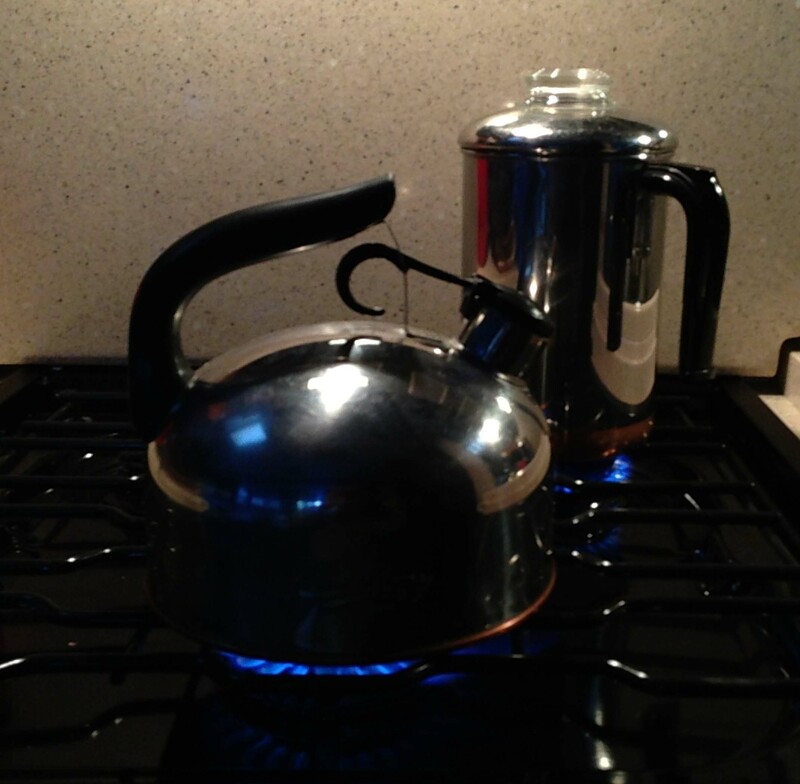 The most iconic tea kettle is the stainless with copper bottom art-deco style which is still sold today. 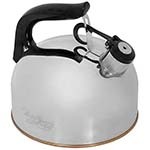 We now have an information page for this kettle with care and use tips. We are in the early stages of producing replacement parts (handles, whistles, and triggers) for these kettles. 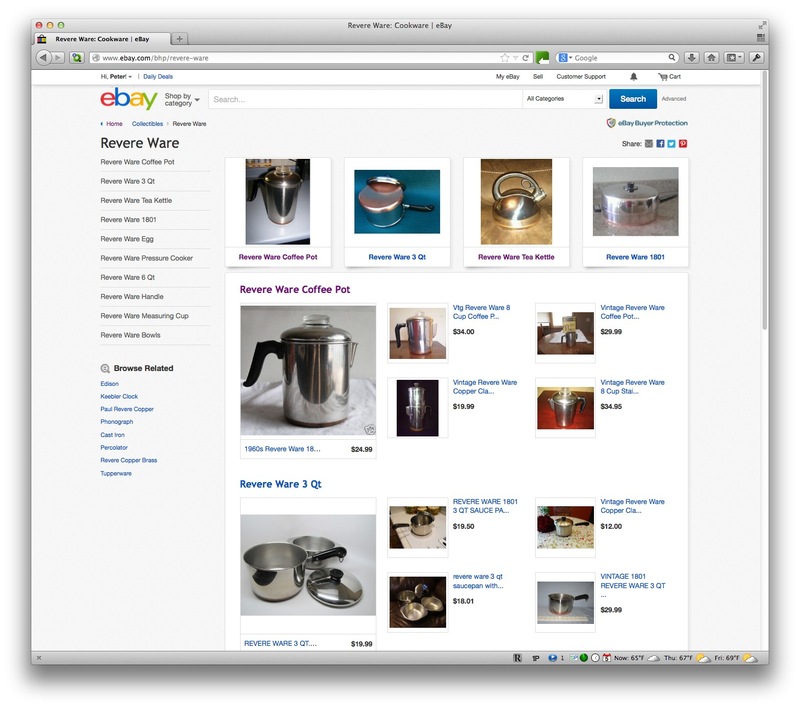 Ebay now appears to do some classification of its own, although it is far from complete. 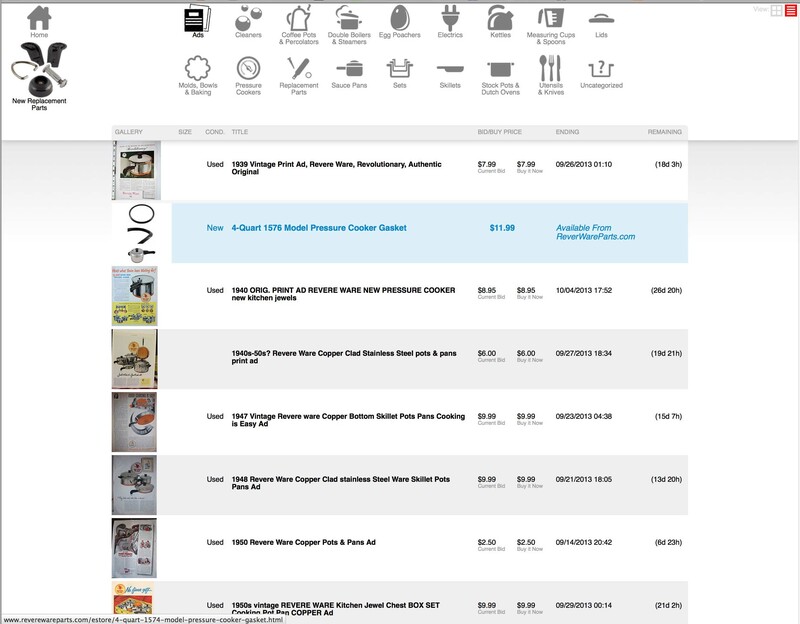 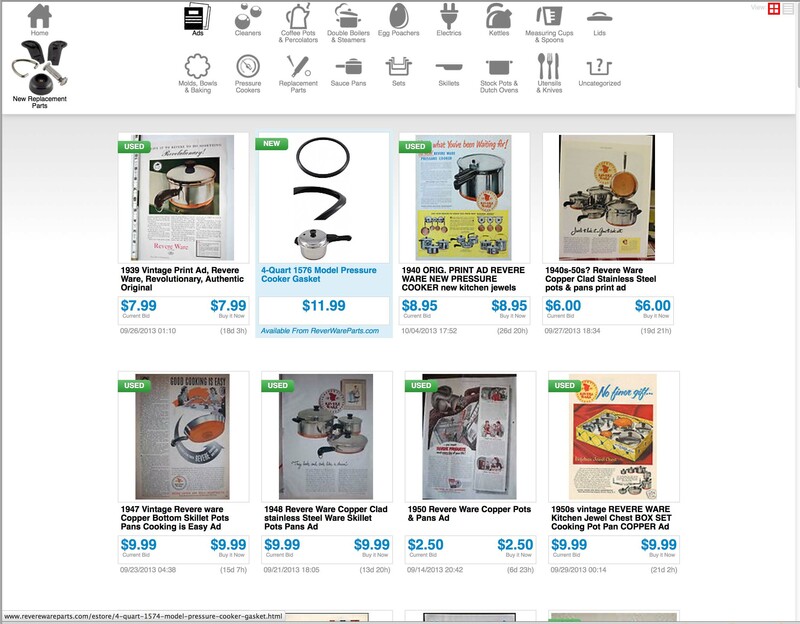 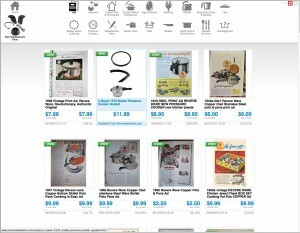 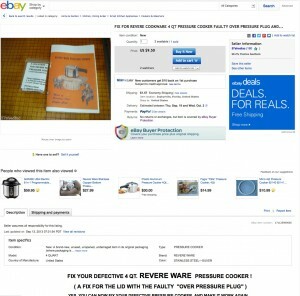 This page separates out some Revere Ware listings into categories. 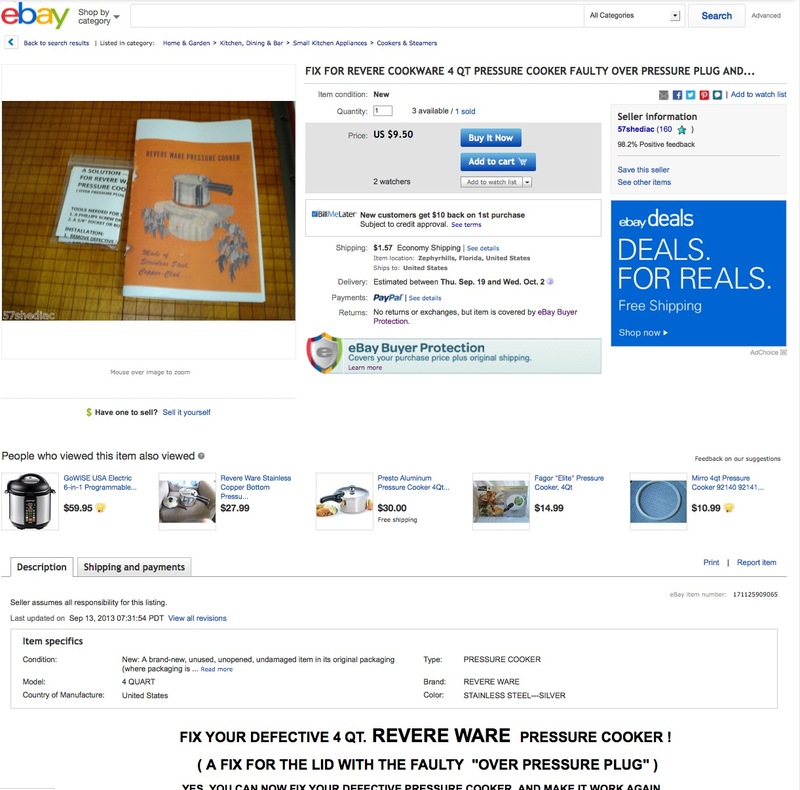 The amount of categories is far from complete and this only appears to cover a small number of the available Revere Ware related auctions. It is almost certain those pressure cookers were not actually made by Revere but were re-branded units made by another company, like Cuisinart. 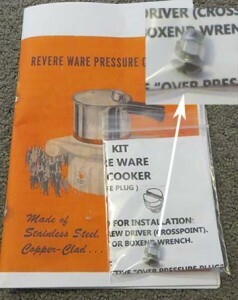 You might try calling them. 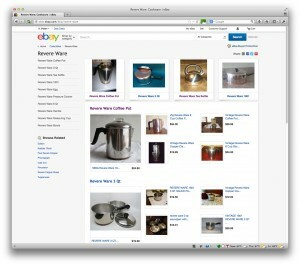 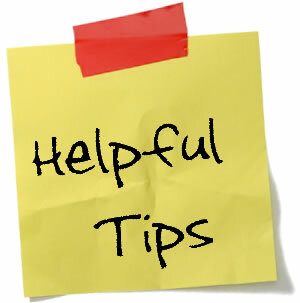 You also might try looking/asking at Miss Vickie’s, a forum and recipe website for pressure cookers. 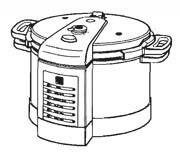 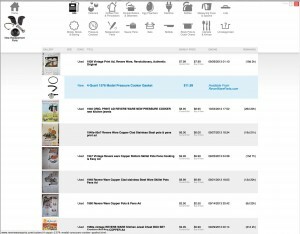 Also, this supplier in Australia has the best selection of pressure cooker parts we’ve seen.